Lumberyard Beta 1.14 adds over 200 new features, improvements, and fixes. As we continue to improve Lumberyard, we want to thank everyone in our community, whose suggestions help us make a better product every release. Since the initial launch, we've overhauled over 50% of the original code base, and we're still just getting started. Keep sending feedback to our forums as well as lumberyard-feedback@amazon.com. For the latest Lumberyard updates, follow us on Twitter, Facebook, and our blog. Here's a sampling of the new features found in Lumberyard 1.14. 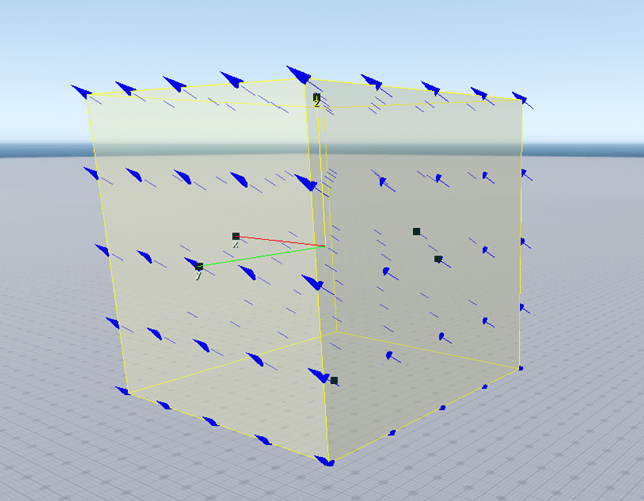 Wind Volume – Use this component to create volumes that are affected by wind. Wind can affect vegetation, particles, and physical objects. You can define attributes of the wind volume such as its direction, speed, resistance, and density. Sky Cloud – Use this component to create realistic and detailed cloud effects. You can create clouds with either simple, sprite-based shading, or more complex, voxelized 3D volume shading. You can randomly generate common and volumetric clouds in controlled areas, control where clouds generate, and define the area in which clouds can move. Force Volume – Use this component to apply physical force to objects within a volume. A force will be applied each frame to any object within the bounds of the volume. You can specify the following force types: linear damping, simple drag, local space, spline follow, world space, and point. Tube Shape – Use this component to create a tube-like volume along a spline shape. To create a tube shape, you use a Spline component to define its volume and specify a radius. You can specify a different radius of the tube at each point in the spline. For more information, see the Component Reference in the Amazon Lumberyard User Guide. With Script Canvas you can script game logic and behaviors using the component entity system. Script Canvas offers an approachable and easy-to-read environment to author behaviors that use the same framework as Lua and C++. Script Canvas is built to take advantage of the modularity, performance, and flexibility of the component entity system. Variable Manager – Use the Variable Manager pane to create and manage variables for supported variable types, create get or set variable nodes, and add variables to your Script Canvas graph to declare and initialize them. For more information, see Managing Script Canvas Variables. Bookmarks – Add a shortcut to a specific location on your Script Canvas graph. You can then use the Bookmarks pane or keyboard shortcuts to move quickly to that location. For more information, see Adding Bookmarks for Script Canvas. Batch Conversion Tool – Use the batch conversion tool to convert all .scriptcanvas files that are located in a specified directory and its child directories. For more information, see Converting Script Canvas Scripts. Ray Cast Nodes – Use the ray casting nodes to cast rays between entities and positions in 3D space. The EMotion FX Animation Editor helps artists build and animate complex character behavior. The Animation Editor includes visual tools to set up hierarchical state machines, logic, and advanced hierarchical blend trees. 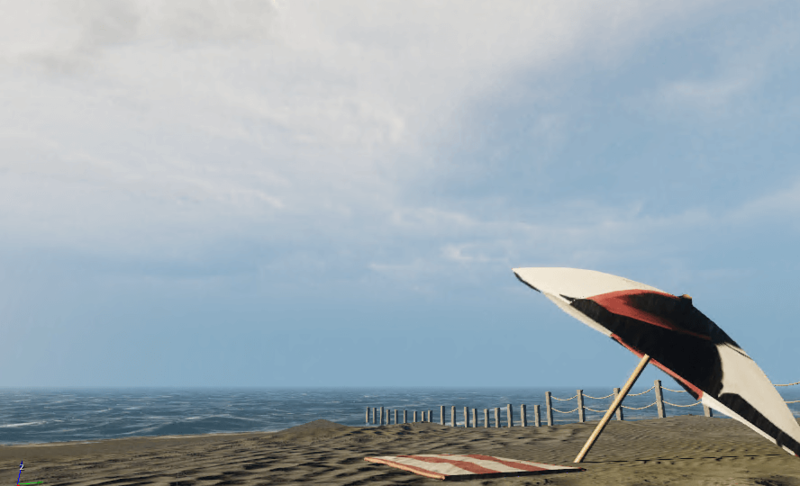 Lumberyard 1.14 adds support for morph targets. A morph target is a deformed mesh that is stored as a series of vertex positions. You can use morph targets to deform a character's face to animate facial expressions or a character's body part to correct undesired deformation of skinning. You can also simulate deformation of clothing on a character. 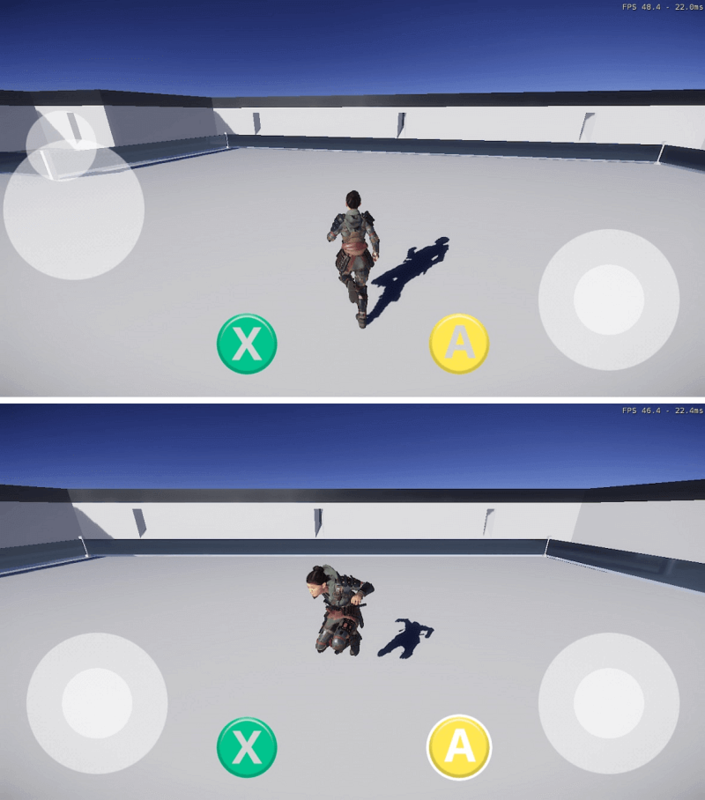 Motion node – Plays morph target animations similar to skeletal animations. Morph Target node – Animates morph targets by changing the weight at runtime. For more information, see Animation Editor (EMotionFX) in the Amazon Lumberyard User Guide. Use the Virtual Gamepad gem to provide your game's UI with touch screen capabilities on mobile devices. After you enable the Virtual Gamepad gem, you can add the virtual gamepad components to your game's UI in the UI Editor. For more information, see Virtual Gamepad Gem in the Amazon Lumberyard User Guide. UI components define the properties of a UI element. The Particle Emitter component is a new UI component that you can use to emit 2D particles from an element. To see in-game examples of completed canvases with a Particle Emitter component, open the UiFeatures level in the SamplesProject project. Enter game mode and then choose Components, Visual Components, Particle Emitter. You can view particle emitter examples that create a variety of spark effects and trail effects. For more information, see Visual Components – Particle Emitter and UIParticleEmitterComponent in the Amazon Lumberyard User Guide. Lumberyard 1.14 adds support for Visual Studio 2017. Beginning with Visual Studio 2017, Microsoft now releases updates on a more frequent cadence (in some cases weekly). Lumberyard is tested with the latest version of Visual Studio available during the release cycle. You can use the Lumberyard Setup Assistant to configure Visual Studio 2017, Visual Studio 2015, or both versions. You must select at least one version in order to install the appropriate Visual Studio redistributables. Waf generates a Visual Studio solution that you can manage with the user_settings.options file (located in the \dev\_WAF_ directory). The Visual Studio version field in this file is automatically updated with the version that you install. If you install both versions, the file uses Visual Studio 2015 as the default value. For more information, see System Requirements and Running Lumberyard Setup Assistant in the Amazon Lumberyard User Guide. You can use the following video tutorials to learn how to use the Lumberyard visual scripting system for your game project. The following video provides a high level tour of Script Canvas, Lumberyard's visual scripting tool. You'll see the tool interface, including the Node Outliner and Variable Manager, and a Hello World demo that prints a message to the Lumberyard Editor console log. The following video demonstrates the Script Canvas bookmarks feature that allows you to quickly navigate your large Script Canvas graphs. You'll also learn how to use block comments to keep logic and reasoning close to your scripting. The following video demonstrates how to assemble a moveable tank using Lumberyard's entity hierarchy. You'll learn how to use bind input controls to enable full movement, and create an independently rotating turret that maps to the keyboard or gamepad. You can download the asset files for this tutorial here. Ensure you're using Lumberyard 1.14. Extract the zip file to the \lumberyard_version\dev\Engine directory. You can create a new folder for the asset files. Allow the Asset Processor to process the asset files. 1:20 – Use lumbertank_body.cgf to add a mesh asset to the Mesh component on the tank entity. This file is located in the \dev\Engine\asset_folder\LearningScriptCanvasAssets\Objects\LumberTank directory. 1:55 – Use lumbertank_turret.cgf to add a mesh asset to the turret. The turret must be a child entity of the tank. This file is located in the \dev\Engine\asset_folder\LearningScriptCanvasAssets\Objects\LumberTank directory. 2:18 – Use lumbertank_barrel.cgf to add a mesh asset to the Mesh component on the barrel. The barrel must be a child entity of the turret. This file is located in the \dev\Engine\asset_folder\LearningScriptCanvasAssets\Objects\LumberTank directory. 3:44 – Add the TankControls.scriptcanvas file. This file is located in the \dev\Engine\asset_folder\LearningScriptCanvasAssets\ScriptCanvas\GDCClassroom directory. 4:00 – Open the tank.inputbindings file. This file is located in the \dev\Engine\asset_folder\LearningScriptCanvasAssets\InputBindings directory. 8:19 – Open the tank.inputbindings file to drive your tank using the WASD keys. This file is located in the \dev\Engine\asset_folder\LearningScriptCanvasAssets\InputBindings directory. 13:28 – Select the TankAim.scriptcanvas file to enable your turret to aim with the Q and E keys. This file is located in the \dev\Engine\asset_folder\LearningScriptCanvasAssets\InputBindings directory. The following video shows you how to create physics-based projectiles that you can attach to the tank's turret. Set your default project to Starter Game if you want to import the crate and barrel assets. 1:24 – Use sphere_001.cgf, which is located in the \dev\Engine\asset_folder\LearningScriptCanvasAssets\Objects\Primitives directory. 1:31 – Use a scale of 0.24. 1:40 – Add a Rigid Body Physics component and set the mass to 4.0. 2:00 – Add a Primitive Collider component. 2:18 – Add a component and a Sphere shape. Increase the radius of the shape to 1m. Set the surface type to mat_default. 2:30 – Add a particle and select the weaponfx.xml file for the particle effect library. This file is located in the \dev\Engine\asset_folder\LearningScriptCanvasAssets\Libs\particles directory. 2:52 – Add the Projectile.scriptcanvas file, which is located in the \dev\Engine\asset_folder\LearningScriptCanvasAssets\ScriptCanvas\GDCClassroom directory. 6:23 – Add a child entity for the barrel. This will be the spawn point for the projectile. 6:50 – Attach the Projectile.slice file, which is located in the \dev\Engine\asset_folder\LearningScriptCanvasAssets\Slices\GDCClassroom directory. 7:20 – Select the TankShoot.scriptcanvas file, which is located in the \dev\Engine\asset_folder\LearningScriptCanvasAssets\ScriptCanvas\GDCClassroom directory. The following video shows you how to create and attach a third-person camera to your tank. You'll learn how to add explosive barrels and crates, and see how they're connected in Script Canvas. Use any of the slice files located in the \dev\Engine\asset_folder\LearningScriptCanvasAssets\Slices\GDCClassroom\Extras directory. For example, you can use Explosion.slice. Stay up to date with the latest release information at AWS Release Notes for Amazon GameLift.